Here is our section with reviews of Athens. People who have actually visited Athens write about their holiday experiences, what they did and saw there, their activities, where they stayed and give advice on things to do and to avoid. 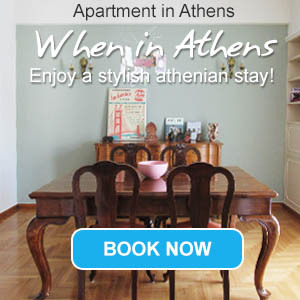 You have also visited Athens? If you want to write a review about Athens in our website, you first have to sign in (free) our community or just log in your account, if you are already a member. Before getting published, reviews have to be approved by our editing department. Any review with abusive or inappropriate language will not be published. Average	4/5 based on 28 ratings out of 28 reviews. We stayed for five days at The Stanley in Athens and saw the historical sights and museums that will forever stay etched in our memories. One bad memory that needs to be shared with travellers, is our experience of being pick pocketed in the metro on the last day of our stay. As we entered the metro, we were surrounded by six men who blocked our passage to enter further into the compartment. My husband (70 years old) stood with his back to the seating area to protect his wallet in his back pocket. One guy started twisting right arm, and kicking his feet with his boots, which hurt so badly that he had to shift and position in which time the pick pocket had taken out the wallet from his back pocket. The train was still moving when he realised his wallet was missing and screamed, holding on to the man nearest him who was twisting his arm. I (66 years old), disabled, held onto the man and demanded he return the wallet. Meanwhile the train had stopped and the guys were talking in Greek and in that melee one of them shouted in English that the guy who had the wallet had already disembarked instructing us to follow him. Panic stricken we got out of the train, to follow this person (a false alarm to get us out of the train) and ofcourse with our mobility being slower we never got to catch him. Shell shocked we stood while some tourists kept asking us what had happened. From nowhere a good Samaritan appeared and wanted to know what the commotion was all about. He offered to accompany us to the railway police at the station, to ask for the CCTV coverage of the incident to catch the culprits. The man spoke to the police in Greek, and all that they had to say was they could not show us the CCTV coverage as it was not a criminal case. Disappointed and dejected, he then took us walking to the nearest police station to lodge a complaint. It was then that I opened my sling bag to find that the culprits had taken away my wallet too. Presumably while I was holding on to the culprits arm, another guy from behind had done this job. It was shocking to visit the Police station, a first in our travels, to see guys sitting handcuffed and hookers shouting obscenities. Here too the Police said we would have to wait if we want to register a complaint of robbery, but would cooperate if we lodged a complaint for loss. Even a fool can deduce why the police offered us these options, knowing very well as reporting robbery would not be favourable for the country and for tourists visiting the country. The good Samaritan (or so we thought) left us at this point and the police gave us the address of another tourist police office two stations away where such cases were handled for tourists. Left with no option, and as we were leaving early next morning for Mykanos, we took the metro and reached the tourist police office. While the Police cooperated and told us to make calls from their lines to block our cards, which we did, eventually they too did not register a case of robbery, and issued a loss certificate to us. It was the most harrowing experience in our life and being seasoned travelers, came as a huge shock. Not only did we lose all our credit cards, driving licence, and other personal documents, but substantial amount of euros and Indian currency that was kept in the wallets, and most importantly our faith in the country and its administration. Such a beautiful country with so much potential for tourism should take more stern measures to stop the racket of pick pocketers roaming all over the place quick to grab whatever they can and spoil everything for tourists. When we narrated the incident to our hotel, they shared their opinion that while the government had in the past jailed the gang that was operating, apparently some influential people had got them released. Obviously the racket was being run by influential people for pecuniary gains; but in the long run was bringing bad name to the lovely country. This is to warn all tourists visiting Athens, to beware of their personal belongings. The crooks are everywhere in trains, at historical sites, and the police do nothing about it. Many tourists we met later on during our travels, shared similar incidents of being pick pocketed. Wake up Greece!! You have so much to offer, don't spoil it by spitting on the plate that you eat from. Cutting the branch that you sit on. I hope this message reaches to make the authorities sit up and take appropriate measures to make Athens a safe place for tourists to visit. We will certainly not visit again. Even after returning to our home country, the culprits are desperately trying to make fraudulent transactions on our blocked cards, as we keep receiving declined transactions messages on our mobile phones. Another pertinent observation:- in some stations the entry gates are always open which means, there are rogues entering the platforms and travelling without tickets. A pointer to the mess that exists in the country. After visiting Athens several times for family reunions I have drawn the line on this hole. This city is the outright gold medallist for filth, squalor and lawlessness. Roads and footpaths are at times impassable as a result of uncollected garbage. It is a place that has no consideration for the disabled access or otherwise. The metro or underground rail system is a haven for criminal gangs that will stop at nothing including violence to steal in particular from vulnerable tourists. Wait there is more. The street corners are full of persons communicating on mobile phones doing drug deals and setting up robberies and other criminal activities. In the meantime those charged with keeping law and order are in groups of 5 or 6 loitering on corners, unshaven, dishevelled, scratching their posterior and totally immersed with their mobile phones. Unfortunately, and it hurts to say the whole country is 20 years behind as a result. If I cannot go to a place where my security is assured then I go elsewhere to leave my hard earned. It is a place where one requires bodyguards to move around. Oh, lastly as if the heavy pollution was not enough everyone takes no notice of the no smoking laws at almost every venue and it is deliberately ignored by corrupt officials charged with upholding these laws. I agree with you and you describe problems one can find in any big capital of any country. I find your approach a bit poor as you only see the negative parts. You should do something about this, you are harming yourself. It sounds like the classical person who now lives in a rich western country and spends his life criticizing his "old" country, or the country of his ancestors. I know many people like this. I do not know if there is a psychological term that describes this complex. Totally agree. Faced harrowing experience in Athens, getting pick pocketed and then facing the police and their total apathy towards tourists. We (as a couple) travelled to Santorini and had a very good stay there. After that we stay in Athens for 5 days. The city feels unsafe with people touting and looking at you with a very weird manner. We even received €50 fake note from a restaurant at Metropolitan Cathedral, Plaka. The entrance fee for Acropolis is €20 which is not worth the price, too many people there and you cant really enjoy the place. Other tourist attractions are also very expensive. There's only few places you can visit in the city and they look about the same. Regret for going to Athens. The people are not nice to tourists. Should have visited Italy (Venice) or Istanbul as they are not too far from Santorini. Cape Sounion is one of the most amazing places to visit in Athens, especially for the sunset. Ravishingly amazing spot to be at the sun set. After one week on Naxos is was time to move on to Athens. I had an uneventful flight to Athens, and like always a taxi friend of mine was there waiting for me. A quick transfer to my hotel, I had chosen Airotel Parthenon again after my stay there for Christmas-New Year, when I liked it so much and decided this should be my future hotel in Athens whenever it is available for my visits. I was in for my first big surprise. The staff made a warm welcome for me, like an old friend returning home, and I was truly expected. The lady in the reception then told me that they were doing some major renovation and modernisation of their room and that she would like me to have one on the upper floor to give them my evaluation of the changes. A much bigger room than the one I originally had booked, but there would be no extra charge. A few minutes after entering the room the phone rang, and they asked me if I would be staying in for some minutes. I confirmed, a knock on the door and a waiter brought me a nice bottle of wine and a fruit bowl with compliments from the management... Great! The room was brand new, nice and much brighter than the rooms used to be, some earth colours the main theme in between and even all the furniture had been changed. A big surprise also awaited me when I went out on the balcony, which turned out to be a spacious terrace on the very top of the building, two tables and several chairs. I was aware that the next week I would be in Athens when my local friends were working or being away, and was prepared for a relaxing time on my own, doing further exploring in the city, taking photos which both would ensure my memories as well as being helpful for making easy guide support for others visiting Athens later on. I met up with a friend in James Joyce for a couple of hours, and for Saturday lunch I did an appointment with my newlywed friends. They also brought Maria from Naxos along, together with some other girls I had met in their wedding, and the girls were off shopping. The two males of us walked down Adrianou, and found a nice and quiet cafe for some refreshment in the shades. After a long while the girls also came along, and not having found what they were looking for we had to join them walking through the Flea Market for eventual options. What was supposed to be a lunch rather turned out to be an evening meal in the end. My newlywed friends would introduce me to a nice restaurant in Psirri, but coming there people were waiting in line to get a table. I told them about Oineas, where they had never been, and it was approved. Coming there Katharina (the manager) soon spotted me, and came running for all the usual greetings, kissing and hugging, and before we actually knew what happened a table was ready for us with a big bowl of crab with spaghetti, and a large bottle of white wine. My friends were very surprised, and I had to tell them that this is my favourite in Athens, having visiting it regularly since it opened in 1999. Another star in the book came when they realised that this was the restaurant used for a popular TV show a while ago, and both Katharina and her husband came to our table to tell all about it. More friends came along (all of them nice, young girls), and we had a great meal with sharing all of the most tasty dishes. More wine came along (on the house), and it turned out to be a great event until late in the evening. For sweets we walked to the ice cream cafe around the corner from Psirri Square, another place that was new for my friends, and another great success. When we quite late decided to leave for home we two guys had the great company of 9 content young girls! On Sunday, I decided to visit the Eros exhibition in the Cycladic Museum branch in Stathatos Mansion along Vassilis Sofias. The exhibition had been extended for the public for some extra days, and this Sunday was the last day they were on display before closing. When I got there and entered the building I soon changed my mind. It was absolutely crowded, and waiting in line for more than an hour to enter didn't fit in with my (lack of) patience that day. Have you ever tried to act as a Bond-like secret spy? I was very eager to get some night photos, and set out to do so. Walking around, trying to keep it clandestine, and yet having a big camera as my main subject when doing so at 1 am? Imagine what Athens were like in these days with demonstrations and security alerts... I made careful plans, had a walk through the area during the daytime to see what it was like and to find out how much time I needed for getting around. My strategy would be that I first approached the Evzones outside the Parliament taking photos, if anyone asked why I was doing this after midnight my explanation would be that I liked to have some night photos of them, and that I also did my own training on nights photos with my new camera. By doing the Parliament first I guessed it would be told further on to those at the Presidential residence, then not making my appearance there so suspicious. Approaching the Presidential residence I saw there were a couple of military persons doing extensive training of the Evzones being on duty. I asked one of them if it was possible to do some photos, and was told I was very welcome as long as I didn't disturb their training and kept outside a white line in the pavement. I had some photos of those who were on duty and of the supervisor and trainer performing, before sitting down for a rest on the opposite side of the street. The trainer then came over to see me, sat down and told me all about the Evzones, their training and qualifying procedures (they were originally 130 and appr. 55 would be approved as Evzones), and he also revealed all the secrets of how they communicate and synchronise their movements. A very interesting chat, and I was fully approved to be around. Having taken many photos already of different Evzones and their procedures, I was advised to stay on for a while to see the changing of the guard. They were delayed for quite some time because of the training issues going on with those Evzones already there, so I could stay on the trainer's recommendations. A little while before the others were about to arrive a senior officer came along and asked me not to use the flash, it was disturbing for the Evzones, and the training efforts they were doing... Of course I just had to obey, but it meant a poorer quality for the remaining photos. At long last, appr. 1:45 am, the changing of the guard was on. Some very formal Evzones were marching down the street. They looked very determined when passing me, they crossed the street and the procedures were on. It all went according to their orders and the procedures, and they were on duty. When I was about to leave the trainer and the supervisor both came along and asked if I could take their photo as well, which I did. The day before my departure I got a nice invitation from a friend to go on a trip along the Attica coast. We set off early from a metro station close to where she lives, and headed for Paleo Faliro and the main road along the coast. First stop was Averof, where we saw the old war ship and the reconstructed trireme, very interesting. Then we went on to Vouliagmeni, where she showed me a small lake with volcanic heating, making it usable at all times of year. Then further on to Varkiza, where we stopped for a coffee at Alkyonides before returning towards Athens. When we approached the Faliro area, my friend stopped and told me we were at the Phaleron War Memorial Cemetery. It was very moving. It is made in the honour of those allied who fought in Greece, and who died there on the battlefields without getting a grave with their name, offering their ultimate sacrifice for freedom. Crosses with their names, country and age have been erected in a large field, together with monuments with the names of the forces participating and their nations engraved. It is a place you approach in silence, and it made a deeply felt impression. When I returned to the city the announced taxi strike was on, and I went to the top of Syntagma to see what it was like. No riots, only many people gathered, some in their cars blowing their horns, others with megaphones calling out slogans. Riot police were there but they kept back in a small force, apparently just standing there enjoying the scene. However, another great holiday in Greece! I love Greece. The cradle of democracy and the template of present day civilisation, the feeling of respect and humility by seeing major historical sites around every corner, the sense of being where some of the most important parts of our common history started, and the foundations of our communities of today were laid. Not to forget the cradle of science and art. I love Greece  and most of all the Greek people. Their ever present hospitality, their openness and including attitudes, their ever present aim to connect and to please. Not to forget their very special Greek peculiarities, which makes them true Greek in their own? I have travelled Greece for the last 28 years. It all started with a girlfriend finally succeeding in making me accept "to go south" for a holiday, and we ended up on Rhodes on a package tour for two weeks. I suddenly realised I was in heaven. History has always appealed to me, and here I experienced old temples and medieval towns, the sense of why a myth has come into life by watching the scenery and surroundings  it was out of this world, all in one country. I also made friends with some locals, and one of them told me about the islands  how easy it is to travel on your own and explore, how different they all are, how much to see and how many different people to meet. Since then I have been every year  mostly twice, and some years even three times. Up to three weeks at a time. I have been lucky enough to visit small islands populated by a few and been offered their most precious gift  a glass of clean water  upon arrival. I have seen how these islands have developed, and I can understand that they all want to take part in earning a decent living  however heartbreaking it is to see a small islet of the old days turned into a day excursion site for sun and bath lovers from the surrounding islands. In this report I put emphasis on my experiences and the feelings I get when I am there. When I first came to Athens  after travelling the islands for some 10-12 years  I made my homework and had some ideas where to start and what to look for. I found out there is a central triangle to start with to learn the city centre  the triangle of Syntagma, Thission and Omonia. I easily found the two main streets out of Syntagma  Mitropolis and Ermou  and made my way down these until I reached Monastiraki. Going further down Adrianou from Monastiraki I reached Thission, and all the time I had the Acropolis above with the Ancient Agora in front. It was all very stunning and made me pay deep respect. Then I had Athinas to Omonia, and made my way back to Syntagma along the big avenue. This gave me an idea of distances and what to cover. Every time I come to Athens I make this walk from Syntagma along Mitropolis to Monastiraki and Thission  sensing being there, stopping at a corner to have a frappe and have a look at everyday life  I'm in many ways back home. An alternate route is walking Mitropolis a short way from Syntagma to Volos str., turn left and walk up the hill to a small church, then turn right  and I am in the heart of Plaka. Then follow Adrianou to Monastiraki. Exploring major cities I visit requires to get out of the beaten tracks  looking up places and neighbourhoods where people live and everyday life goes on, meeting locals and adapt to their ways to learn to know both the people and the country. Athens has been no exception to this. Of course  I have done all the major sites  not once, but many times  and I still will do them from time to time  there is always something new to discover. But I also turn my back on them and look in another direction at times. Walking down the Ermou towards Thission there are lots of old houses and blocks which seems to be in a state of decay, with some dirty and dark narrow streets leading in behind. Small local shops in between, a filthy house with spindleback chairs of a small taverna. I walk in, have a meal in one of these tavernas and it is the genuine Greek food, hospitality end enjoyment far from the big crowds. The area next to Ermou, Psirri, has since my first visit done major renovation  especially in connection with the 2004 Olympics  and is now one of the major in-places in Athens. Still you can sense some of what it was like when you enter from the Thission end of the area and walk your way a couple of hundred meters in to reach the Psirri of today. Likewise I have also strolled through the backstreets of Omonia, often advised not to approach, and I have found a living part of town like mentioned for the early Psirri  and not met any problems at all. This also means that I meet real people. I adapt, and many nice meals and evenings have been spent in company with locals. You learn their way, you learn and appreciate their way of life and their culture. I do not speak much Greek, but I have never had any problems in finding ways to communicate when visiting these areas  or even when visiting other parts of the country and the islands. People show you genuine interest  questions may seem very personal at times, but I have learned that this is not because they are curious  they just like to get to know you to show you their hospitality in the best way possible. Take the piece of bread offered you, have a bite when they get another plate for you to share their meal  that is when you learn to know Athens and Greece. The main attitude I try my best to keep  always  is like these words which greets any visitor when arriving in Patmos: "Welcome to Patmos. Enjoy its beauty  Respect our traditions." I recommend everyone to spend adequate time in Athens  not only to scratch the surface by seeing the top attractions, but to get down to learn to know the people and the places. That is when Athens shows to be something else than what the day excursion tourists see on their 8 hour visit, or what Athens is more than the top 5 attractions to those who are travelling through on a transfer. Wonderful review! I like it not only for details but for your love for this country. I love Greece and try to discover it in your way, what's behind advertising and crowds of tourists like me :) Greece and its unique fragrance ... Hmmm, a lot to say and much more to feel. Thanks a lot for your warm opinions, I completely agree with you! I have been living in Athens for the past three years now. As a historian, it was a dream for me to come in this cultural town. Initially, I had plans to stay for a few months just to visit the archaeological monuments and basically broaden my horizons. By the first year I had visited many historical places, however a job came up so I decided to stay a bit longer. I must say that Athens is a beautiful city visited by thousands of people every year. In the downtown where I live, there are a lot of places such as cafeterias, bars, luxury restaurants and the best traditional taverns anyone could find here. On some mornings, I spend a couple of hours in the National Gardens, a huge area full with vast vegetation with plants over the world. A favourite visit is also to Plaka, a historian district, with many shops and great food. During the night, the monuments in Plaka are lighten up and it is magical. Unfortunately, there are some areas where you shouldn't go (especially the late hours) due to the crime rate. Include Omonoia and Metaxourgeio in these places. It is surprising though that most tourists stay in these squares, probably it is because hotels have good offers, but certainly I wouldn't recommend them to tourists. This was my first trip to Athens. I was on official work, but decided to stay the week end and see something of this ancient city with the glorious past. I took the metro to the Acropolis, one of the most magnificent archaeological monuments in Europe which never fails to evoke feelings of admiration. The ancient monument was built in the 5th century B.C and it is an enduring symbol of Greek culture and civilization. I wandered along Syntagma Square and the heart of Athens was equally impressive with its imposing government buildings and the Parliament. A walk around the historic triangle of Monastiraki, Thission and Plaka is not to be missed. Old mansions intermingling with modern department stores, little shops, stylish restaurants and traditional taverns reflect the coexistence of different eras in this city. The best part of Athens Metro is: it has made Athens a pedestrian-friendly city. But Athens is much more than an ancient city. There are islands, beaches and towns of the mainland. Perhaps, on my next visit, I shall take daytrips to see more of Athens. After sunset, Athens rocks. I found an astounding number of options when it came to Athens after dinner. Techno clubs with giant outdoor and indoor discos, concerts spinning out everything from blues-rock-jazz to traditional Rembetika or laika makes the city after sunset. I was so confused with the choices! Most important, I was travelling along and felt safe! Except for the ill-famous squares of Omonoia and Monastiraki at night, all other places were much safer than all cities I have visited! An international conference brought me to Athens in the middle of the winter. I had been to Athens twice before but I was always in the hurry to get a ferry to the islands, so didn't usually spend more than to days in the city. But this time, the cold winter had trapped me inside the walls and I could see the sea only from a long distance, from the top of the Acropolis or seating for coffee in Piraeus. The good thing is that finally I got the chance to actually SEE the city. The noisy, polluted, full-of-begars Athens. The Acropolis, the Ancient Agora, the ancient cemetery of Keramikos, the Archaeological Museum, the Parliament, the Temple of Zeus. The lovely cafeterias in Marina Zeas Piraeus, the large shopping centre in The Mall, the open market in Monastiraki, the hill of Lycabetus. Take the metro, step in every station in the centre and you will have seen all that you need to see. Athens is actually a small city for a tourist because all attractions are gathered in the city centre, everything is a short walk from the other. Fortunately, the weather was good for walking. Mid-February and the sun was shining. Does it ever rain in Greece? Don't ask about food, souvlaki is the best! Plaka and Monastiraki have plenty of souvlaki taverns. To me Athens has just been an important city in Greece from my history classes at school. In fact, I somehow had the impression that it would be a rather solemn place filled with museums and ruins of a glorious past. But after travelling around the ancient city state for a few days, I realized that a trip to Greece would have been incomplete without a trip to this great city. Athens today is as much for the history buffs, as for the modern travelers who are looking for fun and excitement. Thanks to the 2004 summer Olympics, the city now boasts the best of everything. It has an underground railway, tram to the southern seaside towns along the coast, good buses. All the historical landmarks of the city are unified with pedestrian walkways, streets and parks. It was great to walk the pedestrian street from Acropolis to Thissio and to climb up to Philopappos Hill with the impressive monument. We visited the Acropolis Museum and the Archaeological Museum. Nice places, could be better organized and labelled in English, but it is a shame that most museums in Athens are open only in the morning. The red sightseeing bus is very convenient and passes through all importand sites. The Roman stadium made all of marble was also very impressive. Our hotel was just opposite and from the balcony we could see it with lights at night. Although the city has not many things to do apart from sightseeing, it is worth to visit even for a couple of days. It is a pity to come to Greece and miss Athens.